We all knew that it was going to happen sooner or later. The Undead would RISE UP and begin their unstoppable decimation of the Living. Oh the HUMANITY! Here at the Death Reference Desk we never thought that Miami, Florida would be ground zero for the Zombie Apocalypse but there you have it. Or, maybe just maybe the person is a freaking ZOMBIE! Your good friends at DeathRef have been preparing for the inevitable Zombie Attack and we’ve assembled an entire section on zombies. So, make sure that you’ve got everything that you need in your Zombie Apocalypse Survival Kit and listen to these wise words from the late, great Dennis Hopper. 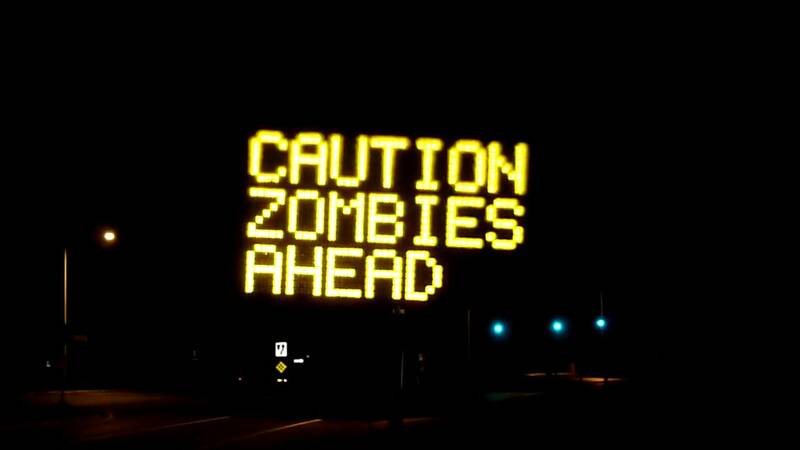 Posted by John in Death + Crime, Death + Popular Culture, Death + the Law and tagged disease, zombies. Bookmark the permalink.